Fun with a capital F, this latest panto from Birmingham Hippodrome is big on comedy, for all the family. Proclaimed by the theatre as "the largest panto in the world", it is packed with jokes, songs and even a huge lovable dragon (with a Brummie accent) that leaps out from the stage and hovers above the audience. The real forte of this show is the comedy because it has a secret weapon in the shape of Matt Slack playing Oddjob. Despite the strong line-up of celebrities, it is Slack who is the funniest thing in the production and keeps everyone with a smile on their face every time he appears. 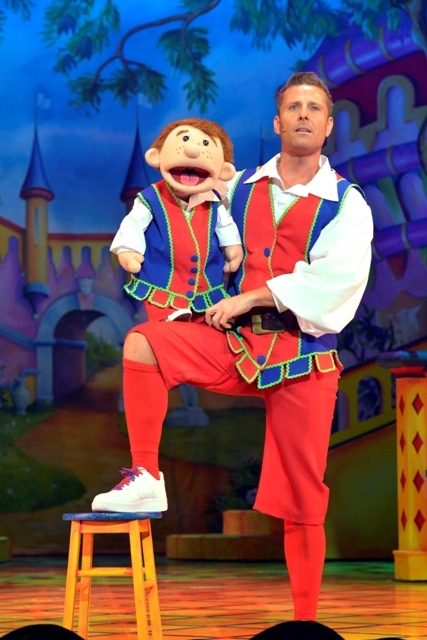 Supporting him in the comedy stakes is puppeteer Paul Zerdin, playing Muddles, who has a real knack with the crowd and uses his cheeky puppet Sam to play naughty to his nice. 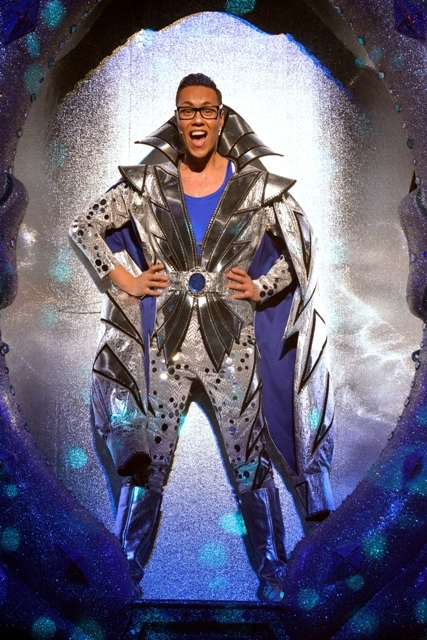 Pulling in the crowds are the big names of Eastenders star John Partridge, former Dynasty actress Stephanie Beacham as the wicked queen, Gary Wilmot as the dame, and TV presenter Gok Wan, who is likeable but his lack of experience on stage does show. He has also been given a couple of songs to perform, which wasn't maybe the wisest decision. 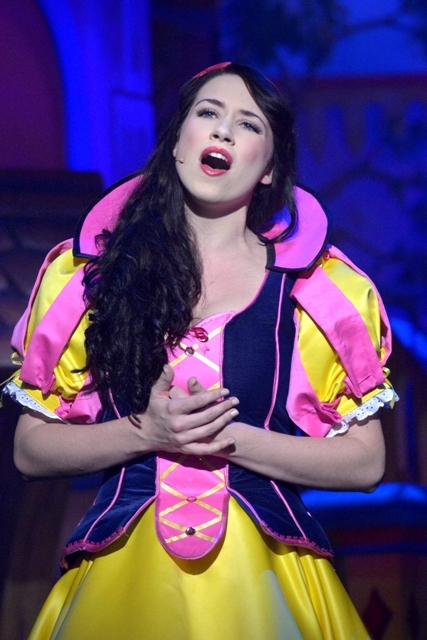 Danielle Hope, from BBC1's Over the Rainbow talent competition with Andrew Lloyd Webber, plays Snow White and has a sensational voice. But, and there is a BIG but, despite all the razmatazz and glitz, the one thing that lets it down is the dwarfs - there aren't any. Well, there are seven men who hobble around on their knees in robes with little muppet legs hanging off them, but they hardly feature in the show and this panto may as well have been called just Snow White. For some unknown reason, Birmingham Hippodrome decided not to hire dwarf actors and it all seems very bizarre and strange and leaves you questioning why they wouldn't want to use real dwarfs. I saw this year's Malvern Theatres' panto, which is also Seven White & The Seven Dwarfs, but does star dwarf actors. In comparison, that comes across far better than the Birmingham version because of it. Overall, there are plenty of special effects, jokes about the West Midlands and colourful characters and songs that are the essence of what a panto should be... just a real shame about the dwarfs. Tickets cost from £14 - £39 from Birmingham Hippodrome website or by calling 0844 338 5000. Why? 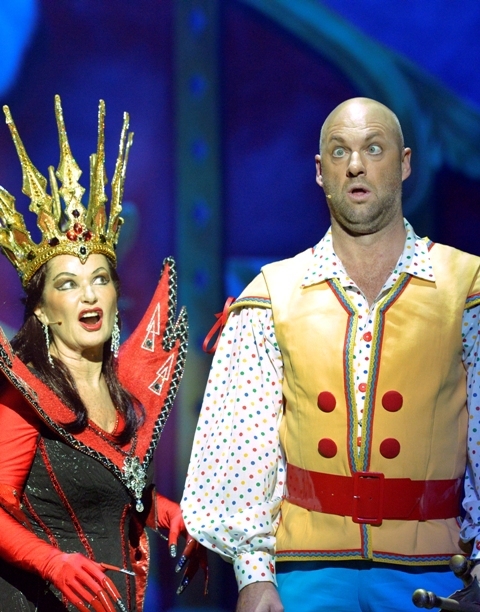 Panto festive fun - oh yes it is!